. Published on Wednesday, July 18, 2018 . For whatever reason—from pulling all-nighters to leaving concerts way past midnight—it’s a “Norm” as a college student to find yourself in a dinky, carpeted diner eating subpar, unsatisfactory dishes. But here at The Campus Crop, we want you to enjoy your meals whatever time of day, so we’ve organized a list of our favorite 24-hour diners worth the visit. Read on and get ready to bookmark! Original Pantry Cafe, located on South Figueroa in Los Angeles, has served up a variety of delicious diner favorites since 1924 and has only closed shop once in 2004 due to renovations. This 24-hour cafe has been named “the most famous restaurant in LA” and has even been designated as a Historic-Cultural Monument. Its slogan, “Never Closed – Never Without A Customer” rings true, as you will definitely find yourself in a line wrapped around the cafe after a concert at the Staples Center. Waiting in line is part of the old-time diner experience, however, as is its cash-only manifesto. The Pantry is on our list because it has great service and freshly made food with generous portions. Whether you’re craving French toast or a classic meatloaf and mashed potatoes, there is something waiting to be made for you here at all hours of the day. Next time you visit Seal Beach, be sure to stop by Harbor House Cafe, a beach-side diner located steps away from the sand. Harbor House has been known for its great service, large selection of food and eclectic, antique decor since 1939. There are tons of healthy options, soups made in-house as well as a huge salad selection. However, we’re not telling anyone if you end up ordering their iconic Giant Ice Cream Sundae. If you’ve always dreamed about going to a ‘50s diner but with a contemporary California flair, Mel’s Drive In is the place to be. The Santa Monica location has recently updated their interior with new renovations and booths, so it is not your typical boring, carpeted and aged diner. Mel’s specializes in delicious burgers, sandwiches, dinner entrees and ice cream that will keep you coming back for breakfast, lunch, dinner and your spontaneous 2 a.m. snack run. Say goodbye to basic breakfasts from 2-star diner chains, The Kettle serves up delicious (and Instagrammable) plates, seven days a week! 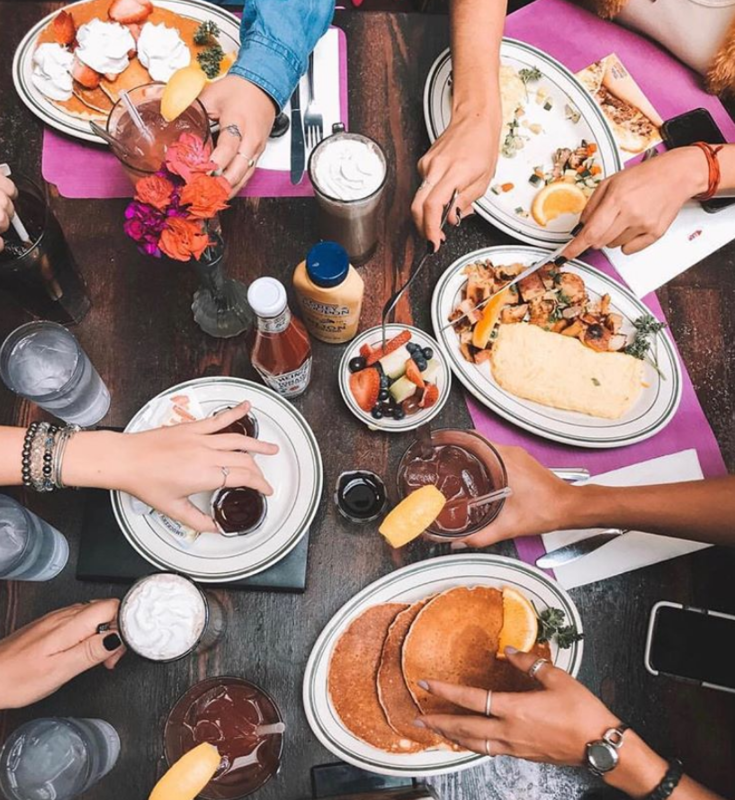 With dishes such as Breakfast Potato Nachos, Bananas Foster French Toast and Crab Cake Po’ Boy, this 24-hour Manhattan Beach spot is not your average diner. Hash browns or fries on the side? Nope, your side options include breakfast potatoes, kale Caesar salad, sauteed garlic broccoli, crispy Brussels sprouts and many more. Make sure to add this 4.5-star favorite to your bucket list! Which diner are you most interested in visiting? Share your thoughts with us by using the hashtag #CampusCropChat on Facebook, Twitter and Instagram. Don’t forget to follow us on Snapchat @asicpp!